Most of us probably have several jeans, but we mostly wear one or two of our favourite only. After some time, our favourite jean will obviously become "aged". How to maintain our favourite jeans' look and colour close to the time we bought? When washing it, take out all the item from pockets, zip the jeans and turn the jeans inside-out. 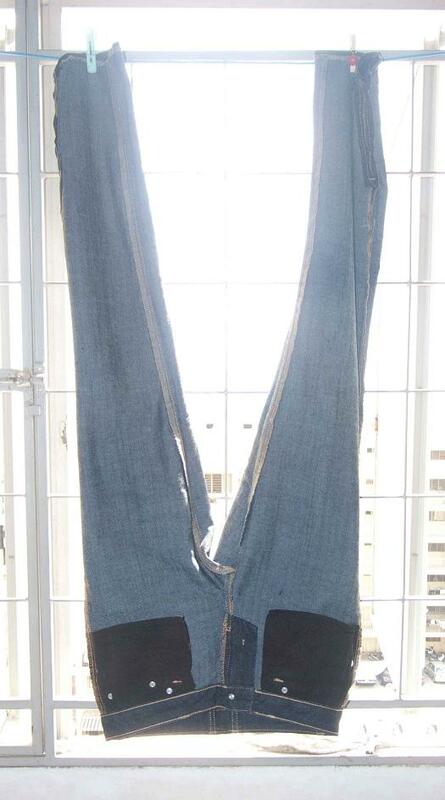 Hang the jeans upside down in a shady + airy place with clips to prevent the jeans from shrinking. At last, iron it flat. A real jean's fans usually wash once or twice per year only, and swap-wear between their jeans to keep the jeans in tip-top condition and never feel boring wearing the same jeans. * How to "renew" the colour of aged jeans?